Henry Clay Frick, the grandson of a wealthy businessman, was born in Pennsylvania in 1849. At nineteen Frick started work as a bookkeeper with his grandfather's company. With the help of family money, Frick began buying coal mines. This was a highly successful venture and he eventually controlled 80 per cent of the coal output of Pennsylvania. One of Frick's best customers was Andrew Carnegie, the owner of a large steel company. The two men became business partners. Carnegie purchased a controlling interest in the Frick Coke Company and Frick obtained 11 per cent of the Carnegie Steel Company. Although Carnegie remained the largest shareholder in the company, he retired from active management in 1889. Frick now became chairman of the Carnegie Company. At the time, the firm consisted of various mills and furnaces in the Pittsburgh area. Frick was concerned that there was no centralized management structure and so in 1892 all productive units were integrated to form the Carnegie Steel Company. Valued at $25 million it was now the largest steel company in the world. In an effort to increase profits, Frick decided to lower the piecework wage rate of his employees. In 1892 the Amalgamated Iron and Steel Workers Union called out its members at the Carnegie Steel's Homestead plant. Frick now took the controversial decision to employ 300 strikebreakers from outside the area. Organised by the Pinkerton Detective Agency the men were brought in on armed barges down the Monongahela River. The strikers were waiting for them and a day long battle took place. Seven Pinkerton agents and nine workers were killed before the governor obtained order by placing Homestead under martial law. Frick was criticised for causing the violence at Homestead by importing strikebreakers. One man, Alexander Berkman, the companion of Emma Goldman, attempted to assassinate Frick. After gaining entry into his office, Berkman shot Frick three times and stabbed him twice. However, Frick survived the attack and made a full-recovery. The Carnegie Steel Company continued to expand and between 1889 and 1899 annual production of steel rose from 332,111 to 2,663,412 tons, and profits increased from $2 million to $40 million. There was growing conflict between Frick and Andrew Carnegie during this period. This came to a head in 1899 and Carnegie bought out Frick for $15 million. 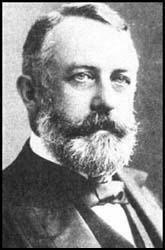 Henry Clay Frick worked as a director of several large companies until his death in 1919. He left a fortune of nearly $50,000,000 and five-sixths of it was donated to charitable organizations. This included bequeathing $15,000,000 and his mansion in Fifth Avenue, New York, to establish the Frick Art Museum.